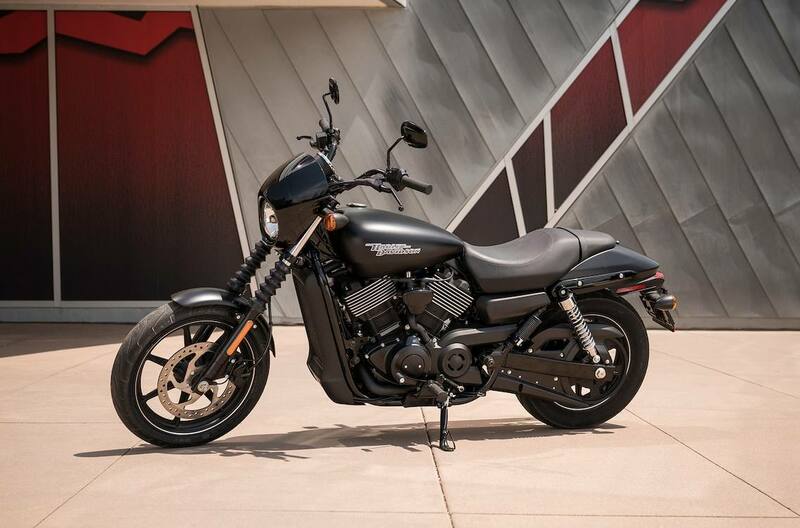 You get the power of the 750cc Revolution X™ engine and the confidence and quick handling of a nimble chassis and dialed-in suspension. The fun starts when the light turns green. 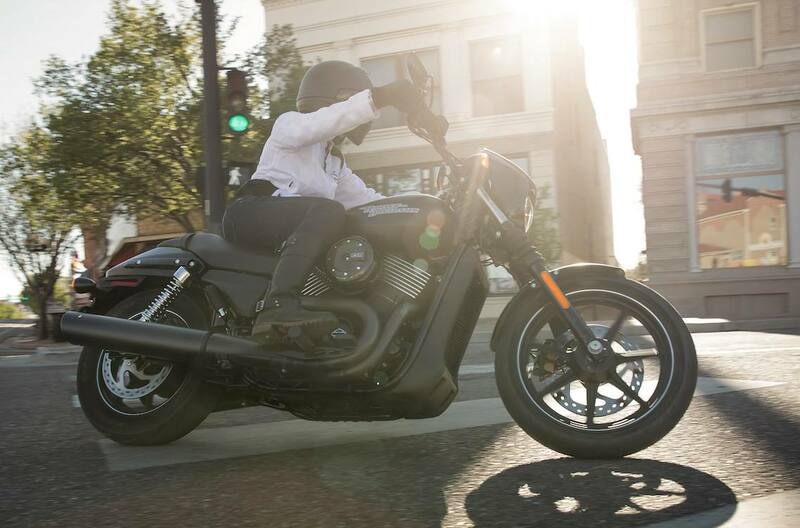 Styling + Features 750cc Liquid-Cooled Revolution X™ Engine: The blacked-out, liquid-cooled V-Twin engine is built to conquer the hot and heavy traffic of urban streets. You can count on smooth response to the progressive throttle when you want to get through any hole that opens up in front of you. 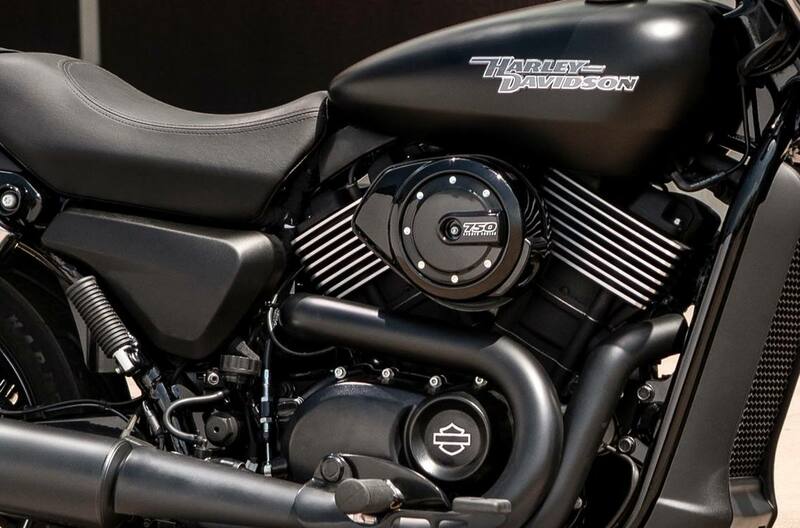 Optional Anti-Lock Brakes (ABS): The sophisticated, factory-installed ABS gives you confidence in the saddle knowing your bike's going to behave when you need it. 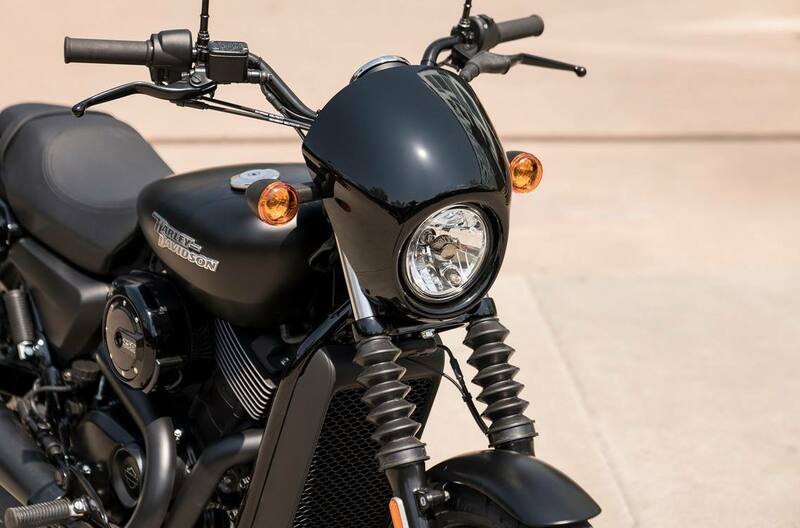 Light Lift Off Force: Lifting the Harley-Davidson Street® 750 up off the side stand is easy, thanks to its low weight and low center of gravity. 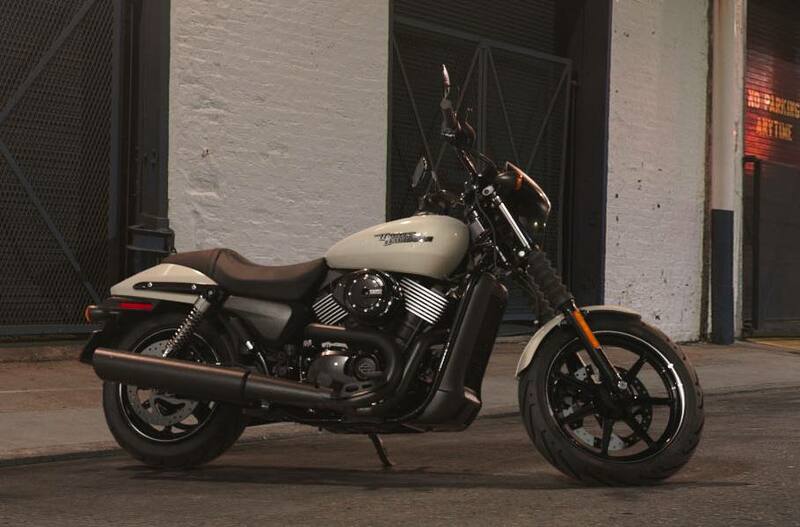 It makes pulling out from the curb feel as effortless as putting your thumb to the starter button. Low Seat Height: The seat height is just 28-inches. And the frame and seat are narrow, which makes for an even easier reach. The advantages of a low seat also shine when the light turns green. It gives you a low center of gravity for confidence when you're negotiating traffic or just slowly rolling through a parking lot looking for a spot. Specially Tuned Shocks: Specifically tuned and dialed in for the weight of the bike, the geometry of the frame, and the position of the rider. You'll experience a smooth ride and excellent handling when you encounter rough urban pavement. 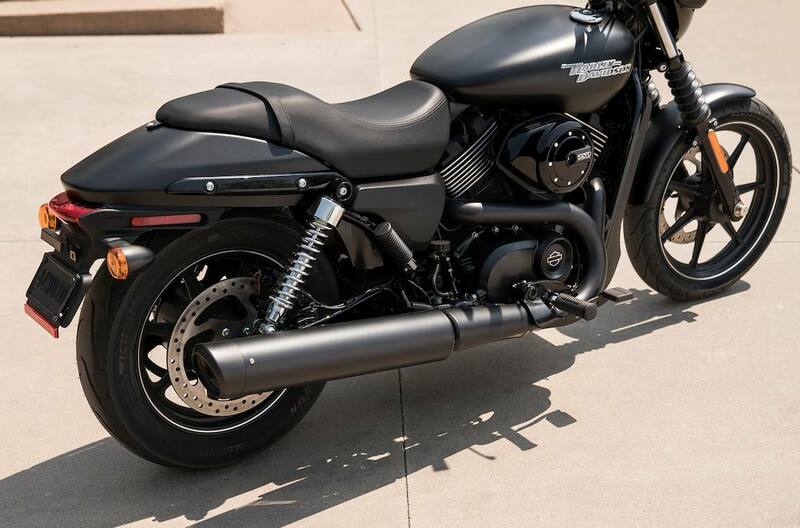 Dark, Aggressive, Custom Look: Sports an all-black two-into-one exhaust, black cast aluminum wheels, blacked-out front end with a café inspired speed screen, and a chrome medallion made of steel on the fuel tank. 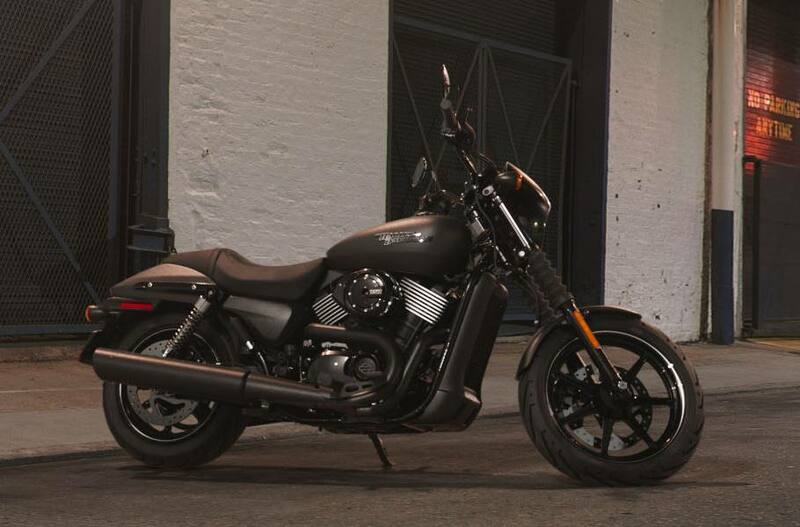 Engine Engine: Liquid-cooled, Revolution X™ V-Twin Bore: 3.35 in. (85 mm) Stroke: 2.6 in. (66 mm) Displacement: 749 cc (46 cu in.) 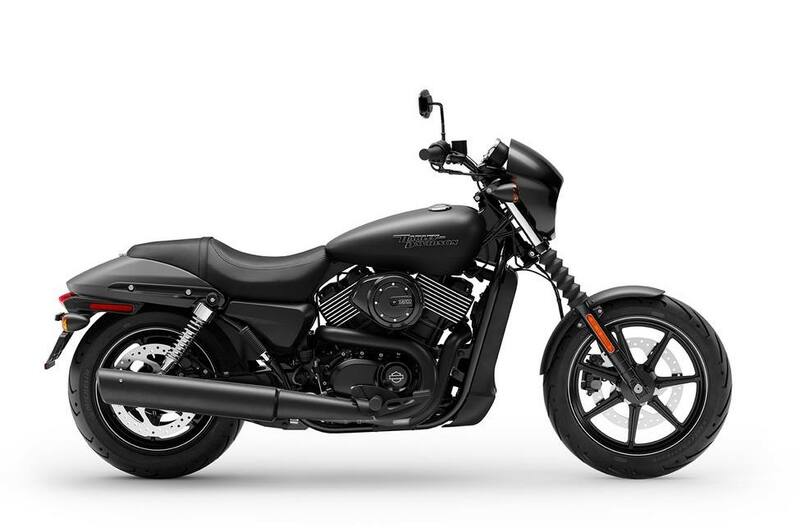 Compression Ratio: 11.0:1 Fuel System: Mikuni Single Port Fuel Injection, 38 mm bore Exhaust: Black two into one Dimensions Length: 87.2 in. (2,215 mm) Seat Height, Laden: 25.7 in. Seat Height, Unladen: 28.3 in. (720 mm) Ground Clearance: 5.7 in. (145mm) Rake (steering head) (deg): 32 Trail: 4.5 in. (115mm) Wheelbase: 59.8 in. (1,520 mm) Tires, Front Specification: 100/80 R17 Tires, Rear Specification: 140/75 R15 Fuel Capacity: 3.5 gal. (13.1 L) Oil Capacity (w/filter): 3.3 qt. (3.1 L) Weight, As Shipped: 492 lb. (223 kg) Weight, In Running Order: 514 lb. (233 kg) Performance Engine Torque Testing Method: J1349 Engine Torque: 43.5 ft-lb (59 Nm) Engine Torque (rpm): 4000 Lean Angle, Right (deg. ): 28.5 Lean Angle, Left (deg. ): 28.5 Fuel Economy Testing Method: Estimated City/Hwy Fuel Economy: 55 mpg (4.3 l/100 km) Drivetrain Primary Drive: Gear, 36/68 ratio Gear Ratios (overall) 1st: 14.272 Gear Ratios (overall) 2nd: 10.074 Gear Ratios (overall) 3rd: 7.446 Gear Ratios (overall) 4th: 6.006 Gear Ratios (overall) 5th: 5.037 Gear Ratios (overall) 6th: 4.533 Chassis Wheels, Front Type: Black, 7-Spoke Cast Aluminum with Machined Rim Highlights Wheels, Rear Type: Black, 7-Spoke Cast Aluminum with Machined Rim Highlights Brakes, Caliper Type: 2-piston floated front and rear Electric Lights (as per country regulation), Indicator Lamps: High beam, neutral, low oil pressure, turn signals, engine diagnostics, low fuel warning Gauges: 3.5 inch electronic speedometer with high beam, neutral, low oil pressure, turn signals, engine diagnostics, low fuel warning, blade key ignition and fork lock, and locking gas cap NOTES: Vehicle may be shown with optional Genuine Motor Accessories. Recommended 91 octane or higher fuel (R+M)/2. Fuel Economy estimated from fuel economy tests on a sample motorcycle from the corresponding family conducted by Harley-Davidson under ideal laboratory conditions. 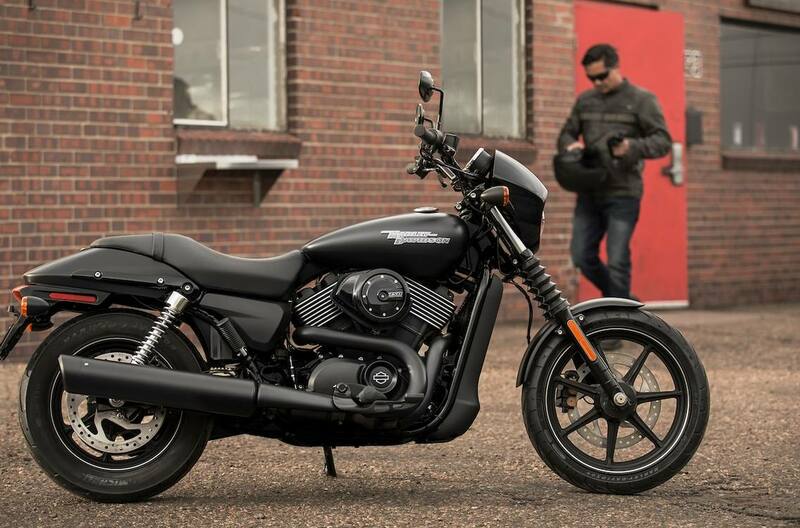 Not all motorcycle models undergo fuel economy testing. Fuel economy and mileage may vary among motorcycle models within a family. 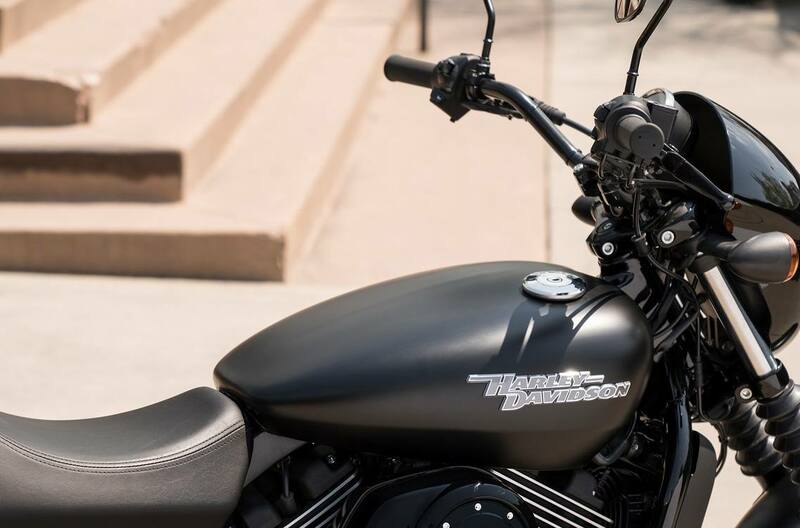 Your mileage may vary depending on your personal riding habits, weather conditions, trip length, vehicle condition and vehicle configuration and other conditions. Break-in mileage may vary. Engine torque values shown are nominal. Performance may vary by country and region. Standard and optional fuel systems may vary by country. Standard and optional wheels may vary by country and region. North America security system includes immobilizer; outside North America the security system includes immobilizer and siren. Seat Height measurement reflects 180 lb. (81.7 kg) operator weight.